When I started reading book “Surely you’re Joking Mr Feynman” last year, I had limited understanding of Feynman and his work. As I was reading through pages, I was visualizing the kind of life Feynman lived. Ralph Leighton has put together an amazing biography for today’s generation to understand and learn from Feynman’s life. Recently I read another book about the great man titled “The pleasure of finding things out” which is a collection of some of the speeches he has delivered in his lifetime. Few chapters may be too technical for certain audience but it is a great collection to understand Feynman’s thought process and his worldview. Here are some of my favorite quotes from the book. I don’t feel frightened by not knowing things, by being lost in a mysterious universe without having any purpose, which is the way it really is so far as I can tell. It doesn’t frighten me. Doesn’t it feel so true and natural ? I believe all of us have been born with above understanding but somehow as we grew up, so called ‘society’ and our environment have shaped our thinking the other way. Not knowing things should not frighten us. We should take this as an opportunity to explore, understand and expand our worldview. I think we should teach them [the people] wonders and that the purpose of knowledge is to appreciate wonders even more. One of the misconception that people might have goes like this “once you become expert in something, you can relax, sit and enjoy the rest of the life”. But reality is “once you know something really deep, you realize that there are many more things that you don’t know”. Inner curiosity should drive everything that we do. There is so much pleasure in finding things out. Posted in Food For Life and tagged curiosity, explore, feynman, inspiration, Life, lifetime, mental model, pages, People, Quote, richard, society, thinking, Thought Process, understand, visualize, wonder, worldview. Bookmark the permalink. Of course it was followed by relevant example in product design space. However the quote made me think. It is not that I heard this quote for the first time but this is the first time, it made me think a lot and I started comparing it with life that we live. As I thought more about this quote, I realized it is true in each and everything that we do whether it be our daily job, love life, or even professional life. Earlier I had written about Relativity of life in terms of Success and Failure. But I think it applies to everything. For example, there are some things that we like but there will be people who will hate those things. There are multiple factors affecting that , their background, their upbringing and their core values. Recently I read somewhere that some famous scientist’s school headmaster wrote a note to his mother. His mother cried after reading the note from school headmaster. When kid asked mother about the letter, she said “You school headmaster said: ‘Your child are too smart. We don’t have enough good teachers to teach your child.Teach him at your home’ “. Later he became the very famous scientist. I am not sure about the scientist but I think it was Galileo. After his mother died, one day he came across this letter from school headmaster and as soon as he completed reading, he started sobbing. The letter read “You child is dumb. We can’t have him at our school. Teach him at your home.” Inspiring ! Isn’t it ? Posted in Food For Life and tagged Achievement, background, design, Failure, galileo, guest, headmaster, industrail, Life, mother, perception, product, professional, Quote, relativity, result, school, science, Success, visual. Bookmark the permalink. I have been sharing my knowledge with the people whom I know since long but I believe by doing that I reached only certain numbers/types of people. So I decided to write a book and fortunately I got great publisher “Packt“. I don’t know how challenging it was for you ( Those who have already written a book) but for me it was quite challenging maintaining the timelines of chapters and handling the pressure of my day job. The number of revisions that each chapter goes through drains your energy. There were couple of moments when the work load in my day job was too much and I was lacking motivation to write. I almost quite at those moments but I did not. Whenever I felt low while in the process of writing book , I read the experiences of people who are best-selling author. Some of the quotes that kept me going. Today , I feel proud of myself for not quitting. My book is available for pre-order now. As a human , we all struggle in achieving what we want and there are moments when we feel like quitting. For me it was writing book, For you , it could be starting a company , finishing college or finishing that long pending task. Whenever you feel like quitting , think about why you started. No matter what happens , never quit. Posted in Food For Life and tagged achieve, Achievement, author, best-selling author, book, book review, job, Journey, Learning, Life, mundane, new, packt, proud, publisher, quit, Quote, raspberrypi, task, writing. Bookmark the permalink. Life is B(irth) to D(eath). And C(hoice) comes in between. Many times you feel that “If I have done it before or I wish I have enjoyed that moment”. That happens with everyone but the main reason for a happy person ,he is enjoying “The Present”. 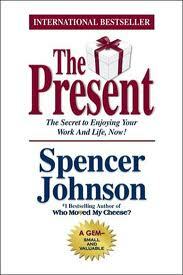 Recently I read a book titled “The Present by Spencer Johnson”. One can see the “Thought Process” and “Life Style” of today’s youth. The quote that I liked the most by old man is ‘Only you have the power to find The Present for yourself ‘ . Posted in Food For Life and tagged Birth, Choice, death, Life, Life Style, Quote, Spencer Johnson, The Present, Thought Process, youth. Bookmark the permalink.